Production Facilities Ltd (PFL) was formed by father and son Fred and David Bates in 1954. 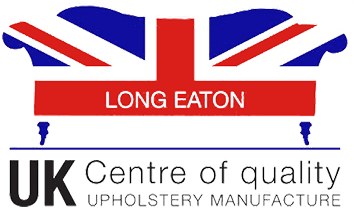 Based in Lye in the West Midlands, the company mostly manufactured canteen furniture. Tim Bates, younger brother to David, joined the company in 1966 and began designing luxury furniture. His first collection was launched at the DECOR contract furniture exhibition at Olympia in May 1970 and the company changed its name to Pieff Furniture. "Luxury furniture of the late 20th Century, characterised by its original design, flowing lines and usual blending of striking materials. Now used loosely to describe any design which is ahead of its time”. “The Pieff collection reflects a certain lifestyle. A privileged one we admit. But then, Pieff is very exclusive furniture. A fact which is recognised not just in Britain, but through-out the world. Our designers are as individual as the people who own them. And our originality can be seen in each addition to our collection. Inspired ideas bring together exciting shapes, contrasting materials, textures and tones. The results are classically simple in concept, utterly modern in execution. The designer's imagination is matched only by the craftsman's consummate skill. And to complement both, we ensure that everything that goes into making Pieff furniture is of the finest quality. The touch is unmistakable. Which is why it may surprise you to learn that not everybody is impressed with the Pieff collection. But, of course, not everybody can afford to be". Unfortunately, the company went into receivership during the height of the industrial recession in May 1983 and the name and goodwill were sold to PEL (Practical Equipment Ltd) of Oldbury. Much of this information has been kindly supplied by the Bates family who have also created a Pieff Archive website. To find out more about the history of Pieff Furniture from 1953 to 1983, please click on this link. In November 1988, PF Collections Ltd was formed by John Campbell and purchased the design rights, original tooling moulds, cutting patterns and order book for the remaining Pieff designs still in existence at the time from PEL and moved production to Long Eaton. "A collection of peace loving chairs. Solid mirror chromed steel, classically matched with soft wool fabric cushions, or leather, or suede. Group Eleganza around the dining or conference table". 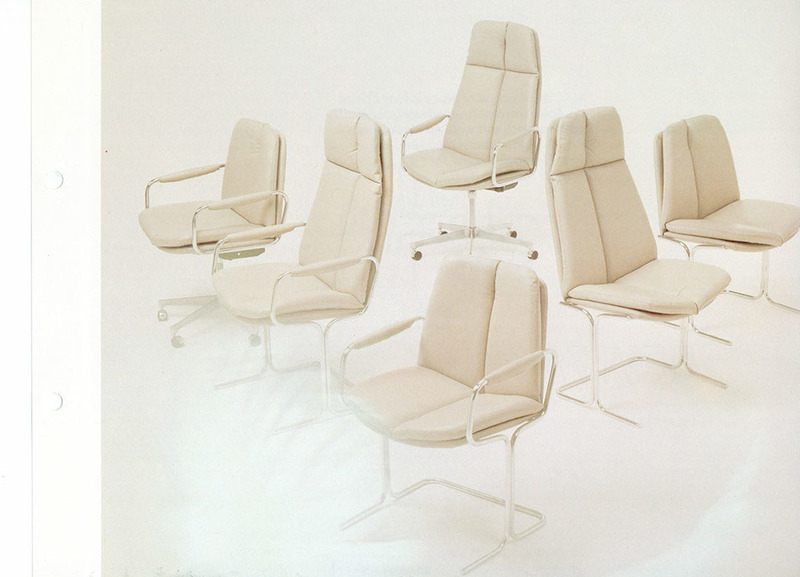 From the late 1980’s to the mid to late 1990’s, Eleganza Chairs were not only being made for high-end furniture stores. It was the chosen chair for some of the biggest television programmes at that time and would be regularly seen by millions on This is Your Life, Parkinson and Match of the Day. The Eleganza was also the chosen chair of Margaret Thatcher’s government and were used in many British Embassies around the world, as well as MP’s private offices at the Houses of Parliament. In 2008, the Eleganza Chairs were re-launched to coincide with PF Collections’ 20th anniversary and as a result of increasing demand for retro furniture. We discovered that original Eleganza chairs were fetching high prices in the second hand market in 20th Century furniture dealers and on eBay and it appeared that there was a demand for new chairs also. Later on that year, the Pieff name and logo was successfully registered as a trademark. In 2011, Eleganza Chairs were chosen by Pinewood Studios set designers to feature in a Hollywood blockbuster film. ‘Dark Shadows’, starring Johnny Depp and directed by Tim Burton, which was released in cinemas in May 2012. In late 2011, a brand new collection of furniture was launched under the Pieff brand. The 50’s Icons Collection was born, designed by Warwick Bergland, who originally designed furniture for Pieff in the 1970’s and 80’s.